It was a clear, beautiful May day at the Jeschke farm in Mazon, Illinois. While I could have spent hours rambling along the country roads and fields, I was there for a reason; to learn about farming. I was among a group of urban and suburban moms, farmers and agricultural experts who got together to discuss farming and farming methods. The learning process started as soon as we boarded the bus early in the morning. A group of women from the farm answered questions as we drove from city to suburb to country. (For more details about what I learned, keep your eyes open for my blog post at Watch Us Grow.) As soon as we got off the bus, we were able to see a planter ready to go into the field. 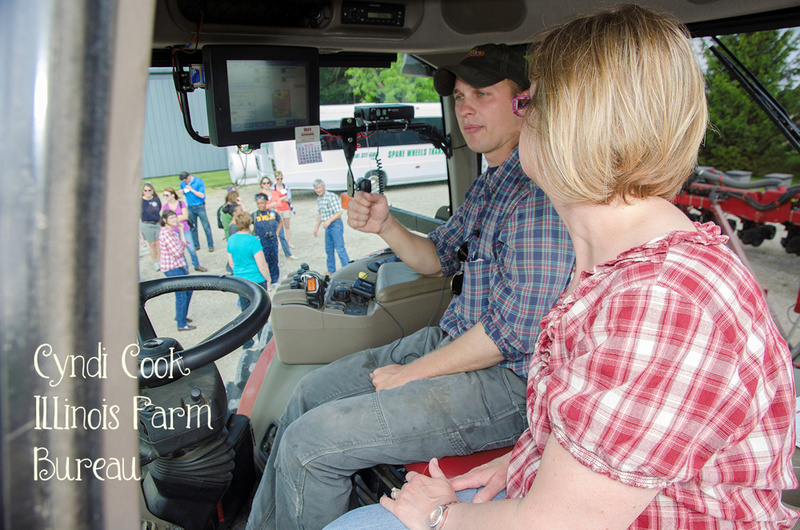 I was able to climb up into the tractor and talk with the Jeschke’s nephew about the GPS system that guides the planter, and the technology he uses to map the field. High yield areas are planted with more seed, and low yield areas are planted with fewer seeds to give the corn plants and root systems plenty of room to grow and be productive. All the technology he uses is amazing! If you look through the window, you can see how high up we are! 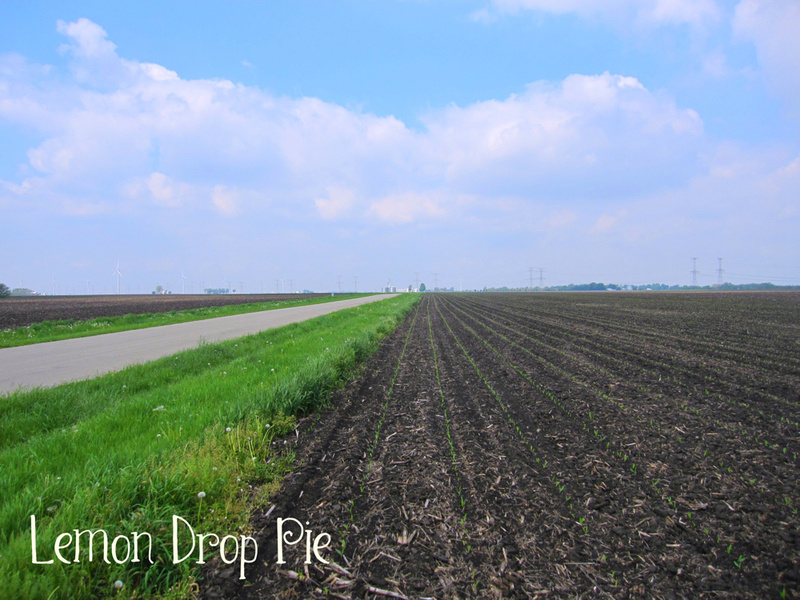 After the planter left, we walked down the road to see the Field Moms’ corn and soybean acres. We’re going to watch the crops grow online throughout the summer and into harvest. Throughout the day we talked about how farmers grow crops, feed livestock, and provide food for a growing population. This Memorial Day weekend, as you grill delicious meats and enjoy potato salad and corn on the cob, remember that your meal is so delicious because a farmer helped put it on your plate! Tell me; what are you eating this weekend? Superb! I love it. What I learned growing up on the farm was a way of life that was centered on hard work, and on faith and on thrift. Those values have stuck with me my whole life. thanks a lot!! ~ Melody H.
Wow, I guess I always thought of farming as "old fashioned", a step up from the Amish. It never crossed my mind that there could/would be new technology to help them. So cool! Where technology and farming meet. Very cool! My recent post Ladies Only Blog Share Link Party: Remember When. I never knew a GPS system was used for planting. You learn something hew every day! That will be fun to watch the plants grow online.